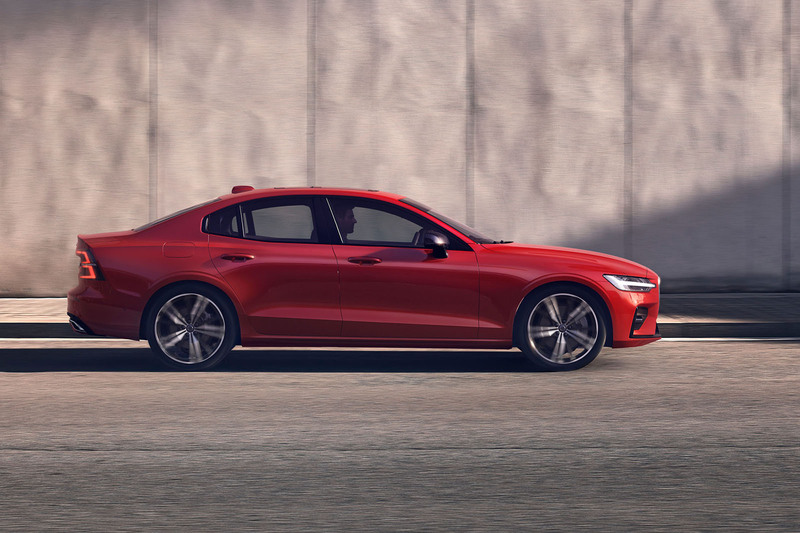 The new Volvo S60, a sports saloon designed to rival the BMW 3 Series and Audi A4, has been unveiled in Charleston, South Carolina – and company bosses have promised the machine will be a “true driver’s car". The new machine was unveiled in the new US factory that will be its sole global production site. It is built on Volvo’s Scalable Product Architecture (SPA), and shares much of its technology with the recently launched V60 estate. 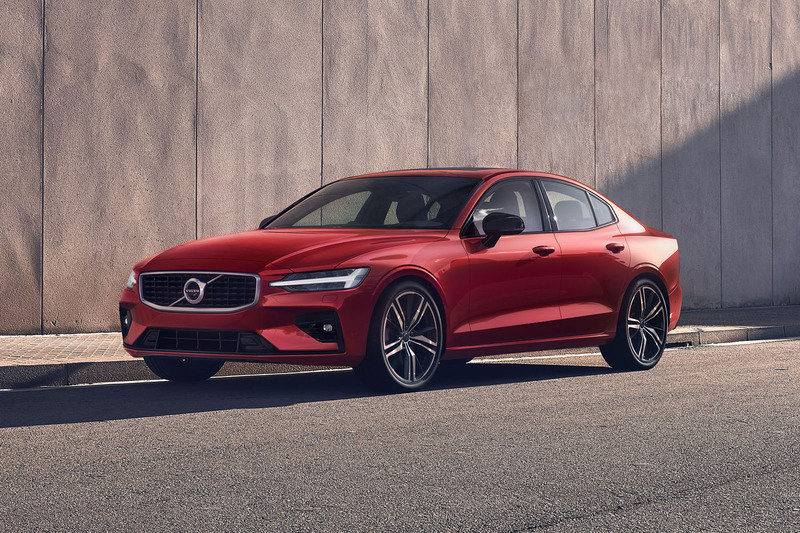 Due to go on sale early next year, the S60 will be offered in the UK with a choice of four petrol engines including two plug-in hybrids, part of Volvo’s pledge to offer electrified versions of all new models from 2019 onwards. No diesel engines will be offered. The plug-in hybrid engines include Volvo’s supercharged 2.0-litre T8 Twin Engine, which produces a combined 385bhp, with the 299bhp petrol engine driving the front wheels and the 65kW electric unit powering the rear axle. That model offers 472lb ft and can achieve 0-62mph in 4.9secs on its way to a top speed of 155mph. The T8 Twin Motor will also be offered with a ‘Polestar Engineered’ performance upgrade, developed by Volvo’s new performance sub-brand. That upgrade includes revamped wheels, brakes, suspension and a tweaked engine ECU which boosts combined power to 409bhp. 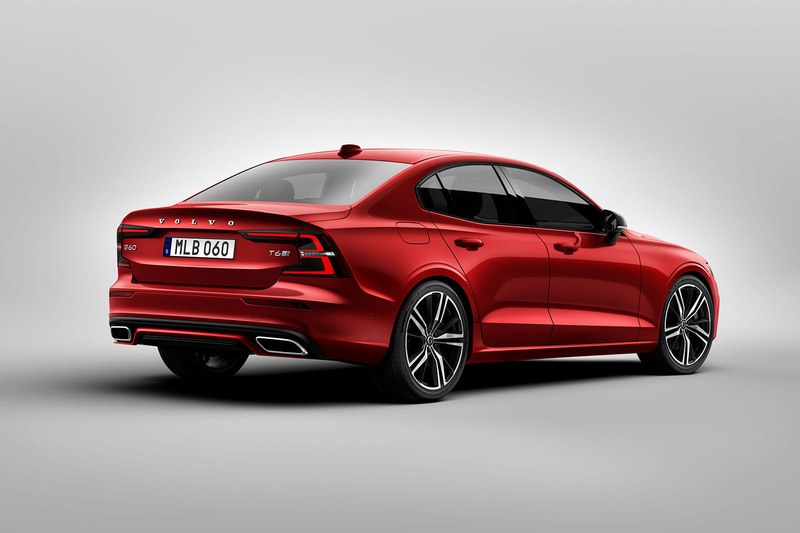 The Polestar Engineered S60 produces 494lb ft, and is 0.2secs faster to 62mph than the regular version. The maximum speed is unchanged. The entry level S60 engine is the 246bhp four-cylinder 2.0-litre turbocharged T5, offered with front-wheel drive, a 0-62mph time of 6.5secs and a claimed WLTP fuel economy ranging from 7.2-8.1l/km. The other option for UK buyers is the T6 supercharged all-wheel-drive unit with 306bhp. That unit will also be offered with a plug-in hybrid option. Every engine option is driven through an eight-speed automatic gearbox. The S60 is 4761mm long, 2040mm wide (including mirrors) and 1431mm high, with a wheelbase of 2872mm. It will weigh from 1680kg, and has up to 442 litres of storage. The car sports double wishbone front suspension, with an integral axle at the rear. 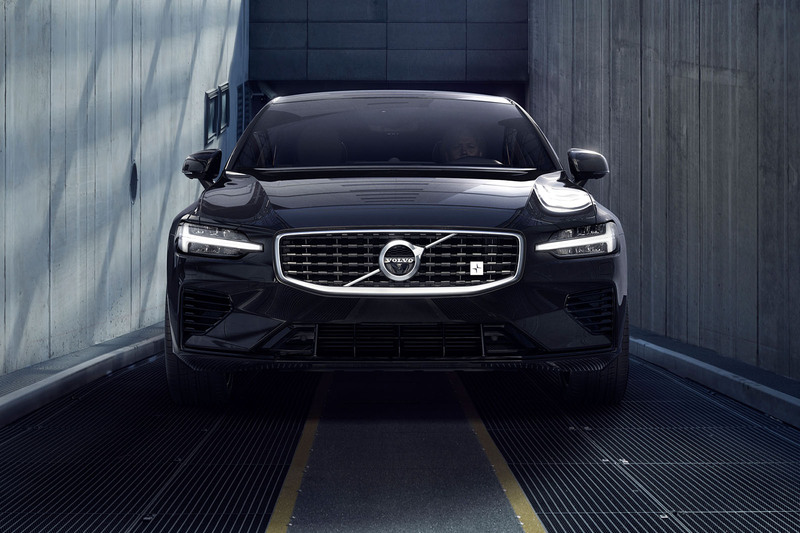 As well as the SPA platform and exterior styling, the S60 shares the V60’s safety and Sensus Connect infotainment systems. These include optional Pilot Assist system, and City Safety autonomous braking capability. UK pricing has yet to be confirmed, although sources suggest it is likely to be similar to the V60 estate, which starts from £31,810, putting it roughly on par with the equivalent A4 and Mercedes-Benz C-Class models. 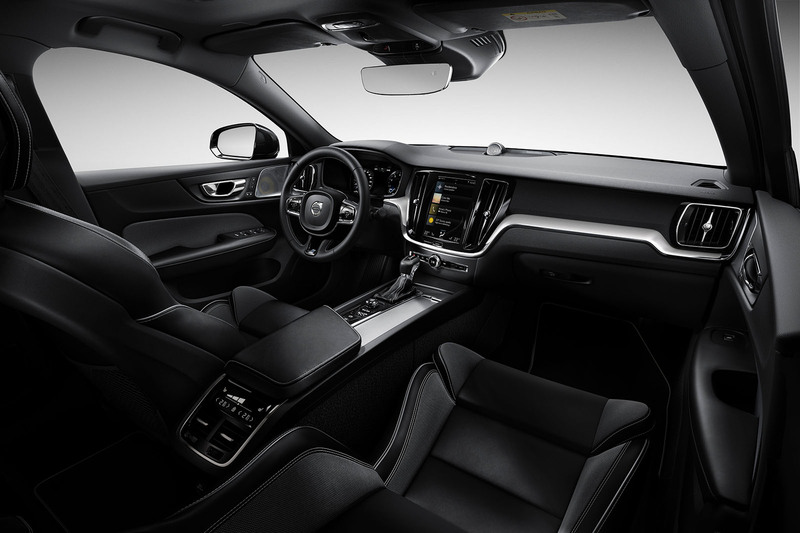 The S60 will be available through Volvo’s new Care by Volvo subscription service, allowing people paying a set monthly fee for access to cars without owning one. The S60 will be built at Volvo’s new Charleston factory, which was officially inaugurated today. The £772-million-pound facility, which has been under construction since 2015, will employ around 1500 people initially. That will expand to 4000 when it reached full capacity of 150,000 cars annually. As well as the S60 the next generation XC90, due in 2021, will be built at the plant, which covers 1600 acres on a 2.3-million-square-foot site. The rear is much less ugly than the S90 because the number plate breaks up the awful boot lid. So looks good overall. Still have a Guilia out of this class. Front end looks handsome. Rear section is a let down. Emm 4 variants of the same petrol 2.0 4 pot. And I'd be a bit worried about owing a stressed 4 pot 2.0 with Turbo, Supercharger, battery, generator, software and electric motor after 6 years. Yes, maybe a cheaper petrol 4 or even a 1.5L 3 will come later as 250 is a lot for an entry level model. I wonder what it said in the Volvo press release, from which this was clearly cut and pasted? Just for fun, imagine a car whose axle was not integral. Perhaps separate, so you could leave it at home? It seems a weird decision to make this car in the US rather than an SUV bearing in mind that no one can make this sort of car pay in the US except German brands and even they are suffering from sliding sales. Car looks OK but doesn’t look to be anything special.